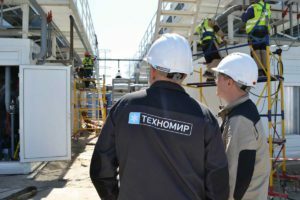 In July installation of system of suspended ways for pork half-carcasses on the platform of LLC Velikoluksky meat-packing plant in the city of Volgograd came to the end. 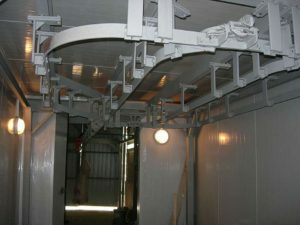 A system of overhead rails for the sides greatly simplifies loading, moving to cold storage and unloading of pork, supplied to the plant by road. Reconstruction of the compressor shop with ABC and condenser site of the cheese factory, the Republic of Udmurtia.Works were carried out on a subcontract of GEA Refrigeration Rus. Complex for slaughter and processing of cattle meat, Bryansk region. 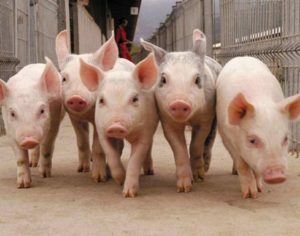 Construction of a new complex for slaughter and processing of cattle meat, Bryansk region. Preparation of design and working documentation of the cooling system of the complex. Installation and connection of refrigeration equipment. The connection of the air coolers. Connection of tile, box and pallet freezers. Complex for slaughter and cutting of pig meat, Belgorod region. Reconstruction of the production building for slaughtering pigs and cutting meat. Construction of a logistics warehouse, Belgorod region. 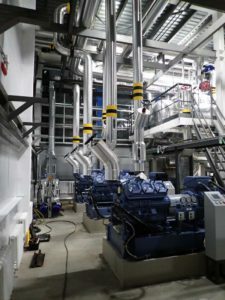 Installation and commissioning of the cooling and ventilation system (engine room and condenser area). 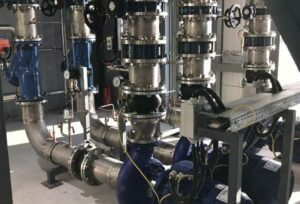 Supply and installation of process equipment, pipelines and ventilation.